Data scientist Matt Ahlborg explains that trading data from LocalBitcoins has suggested that Venezuela did more peer-to-peer trading in 2018 than Canada, India, and Australia combined. According to the data, Venezuela topped $235 million. By comparison, the US, the largest economy in the world, hit around $373 million. Overall $3.1 billion worth of Bitcoin was traded in 2018. As explained, one of the bigger factors contributing to the limited amount traded in developed countries is the price spread. Buying Bitcoin in those countries tends to involve added expenses. The sanctions placed on Russia as a result of its invasion of Crimea has led to a surge in LocalBitcoins trading. Additionally, the regulatory uncertainty in Russia regarding cryptocurrencies also makes the country one of the best places to buy and sell Bitcoin. As such, Russia topped the scales in terms of all LocalBitcoins volume with $756 million. 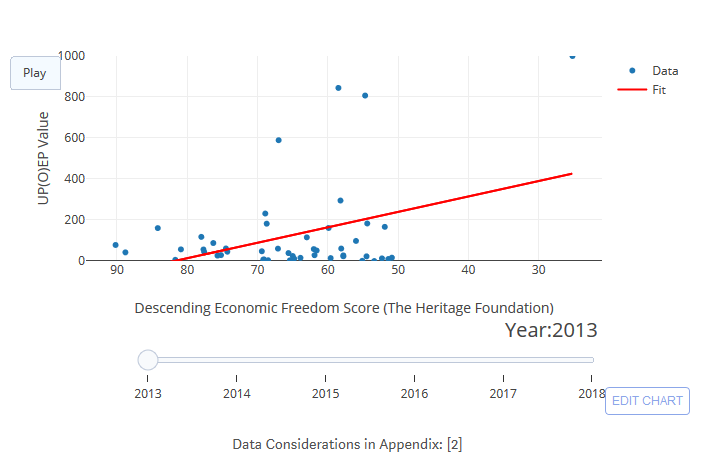 Ahlborg explains that while Bitcoin adoption is highly situational from country to country, a metric called Usage per (Online) Economic-Person (UP(O)EP) shows that, over time, values have been steadily rising in countries with poor levels of economic freedom, and its growing at an accelerated rate.